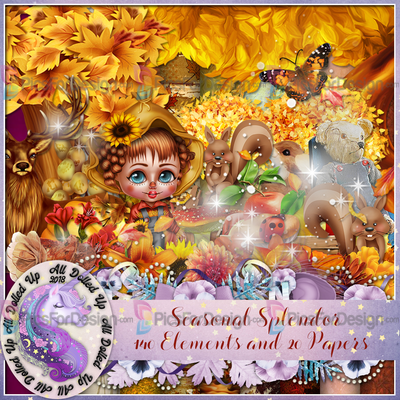 Seasonal Splendor - Illustration store PicsForDesign.com. PSP tubes, PSD illustrations, Vector illustrations. The brisk fall air and the falling leaves is all you need. With 140 elements and 20 papers this kid will surely put you in the fall state of mind. Not all elements are shown in preview. For personal use only.